Diversity and innovation, the twins that should anchor and drive the changes in today’s magazine business, are always on the mind of Kenny Irby, Poynter Institute’s senior faculty for visual journalism, and newly appointed director of community relations & diversity programs. I met Mr. Irby during a visit to the campus of the University of Mississippi and I asked him three short questions about the magazine and print world today. His sharp and well-thought answers bring a needed prespective on the future of the industry and its surroundings. In this brief interview Irby talks about magazines and their legacy of connectedness and value in reading societies, and how diversity drives innovation toward a more successful tomorrow. So in typical Mr. Magazine™ Interview’s style, first the sound bites, followed by the video interview and then the succinct, but very informative, interview transcript with Kenny Irby. On magazines and diversity: First of all, I think it’s important to acknowledge that magazine publications’ staffs really do get the idea that diversity drives innovation. 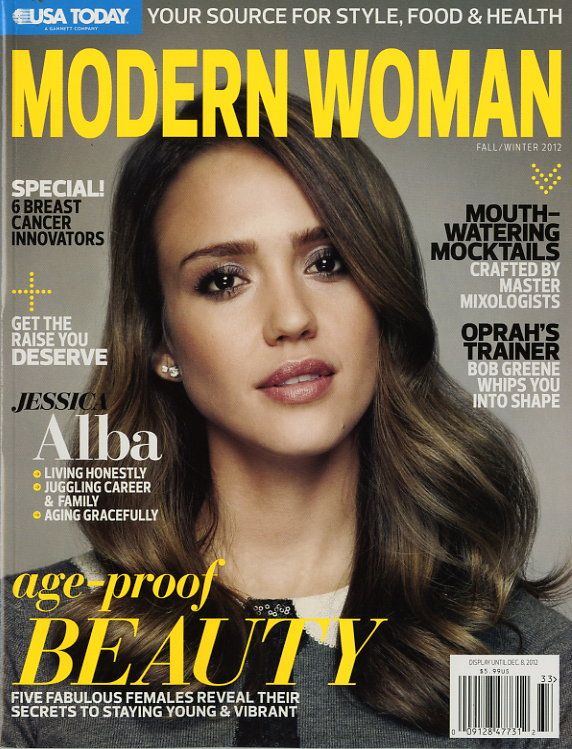 On the future of magazines as we know them: I think as long as magazines continue to innovate and create attraction and connection to their audiences, they’ll continue to evolve and be very successful. On the differences in magazines and newspapers when it comes to print: I think because the magazines are a definitive choice that the citizens make and that audiences will invest in them because they appreciate the value and the surprise that comes with a magazine. Newspapers have not learned enough from that constant kind of innovation and creativity. On words of wisdom for publishers and editors: I think that magazine publications need to continue to innovate and develop, and to look at technologies that will continue to enhance the possibilities of the magazine in a digital space. And now for the lightly edited transcript of the “Mr. Magazine™ Interview” with Kenny Irby of The Poynter Institute. Kenny Irby: We’re talking about magazines and diversity. First of all, I think it’s important to acknowledge that magazine publications’ staffs really do get the idea that diversity drives innovation. 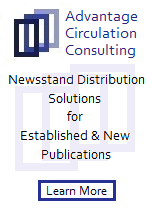 We’ve seen great exploration and innovation in magazines, not only because of the technology, but because of the niche marketing, the special interests, and the possibilities that citizens and audiences are really excited by being able to have magazines and publications that they can keep that tactile feel and connectedness to. Now the key is to continue to diversify, not only in terms of topic, but also in staffs and story ideas. That is a human process. So, I think that’s why magazines once were the new media, and now are a legacy media that still has a connectedness value and penetration in reading societies. Samir Husni: What do you think is the future of magazines as we know them? Kenny Irby: I think as long as magazines continue to innovate and create attraction and connection to their audiences, they’ll continue to evolve and be very successful, not only because of the tablet technology that creates new opportunities, but because of the connectedness and the kind of topics and subject matter that magazines have historically covered and will continue to. 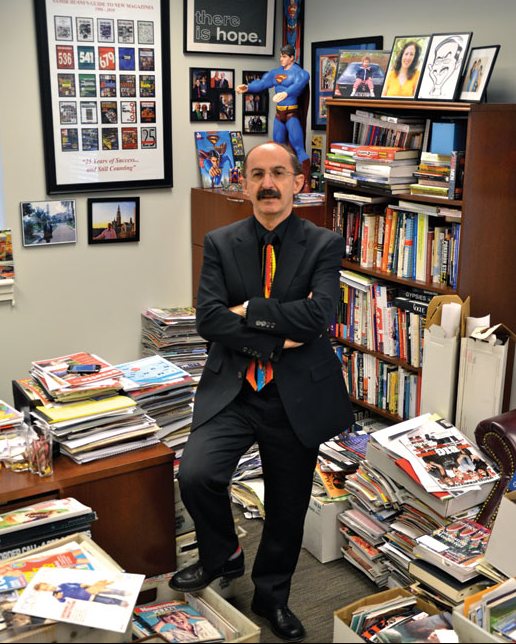 Samir Husni: Do you see any differences between magazines and newspapers when it comes to print? Kenny Irby: Absolutely. I think because the magazines are a definitive choice that the citizens make and that audiences will invest in them because they appreciate the value and the surprise that comes with a magazine. Newspapers have not learned enough from that constant kind of innovation and creativity that magazines have exhibited for years in the past and we expect it to continue in the years to come. 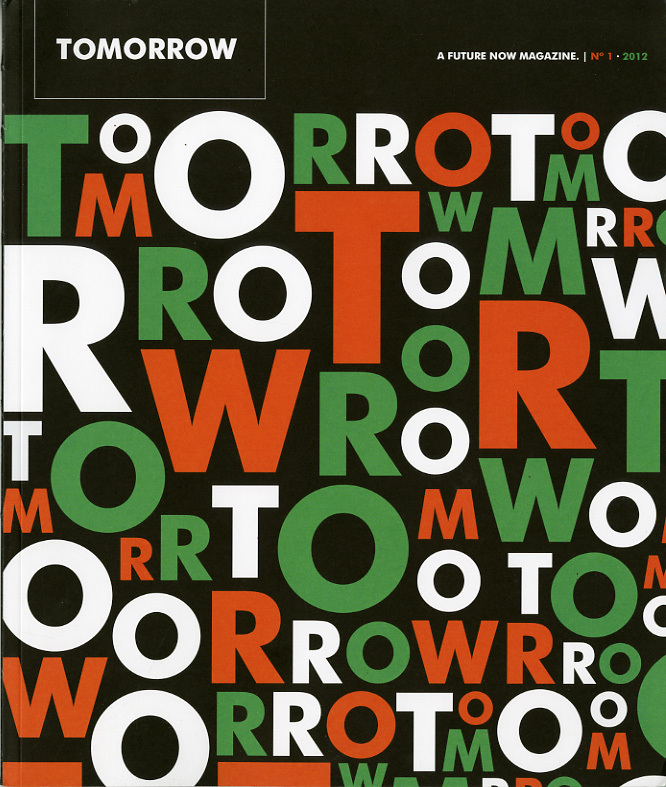 Samir Husni: Any final words of wisdom to magazine publishers and editors? Kenny Irby: I think that magazine publications need to continue to innovate and develop, and to look at technologies that will continue to enhance the possibilities of the magazine in a digital space and not just try to replicate what they’ve done in the print edition in an online edition. I think that’s what’s really important. 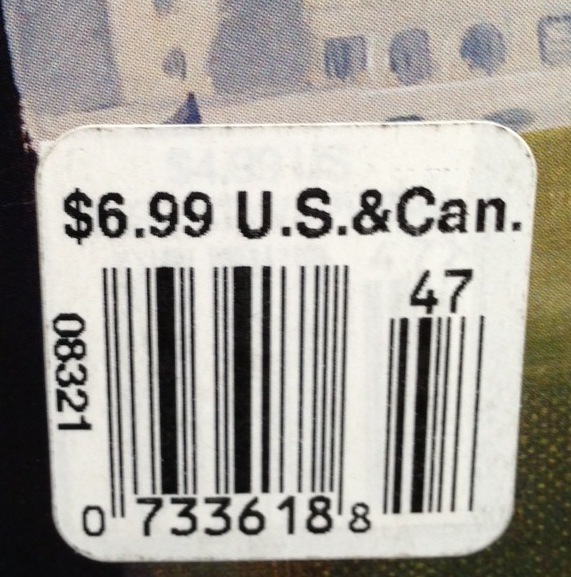 Magazines for 18 Cents (Yes, Cents) a Copy? Can That Be a Sign of an Industry Healing or Hurting? I know it is Thanksgiving Day, but the offer that I just received from the folks at Hearst magazines (which by the way I’ve accepted and responded to) was too good to be true. I know this is not the first year that I receive such an offer and I know that I am not the only one to receive it. 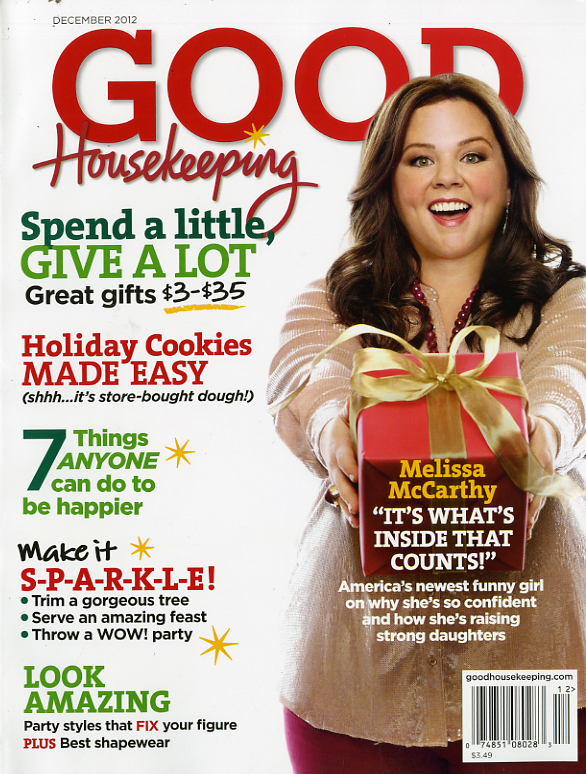 The “Exclusive Holiday Sale” offers most of Hearst magazines (Think O, The Oprah Magazine, Good Housekeeping, Esquire, House Beautiful, Cosmopolitan, etc.) in the United States for a mere five dollars a year! 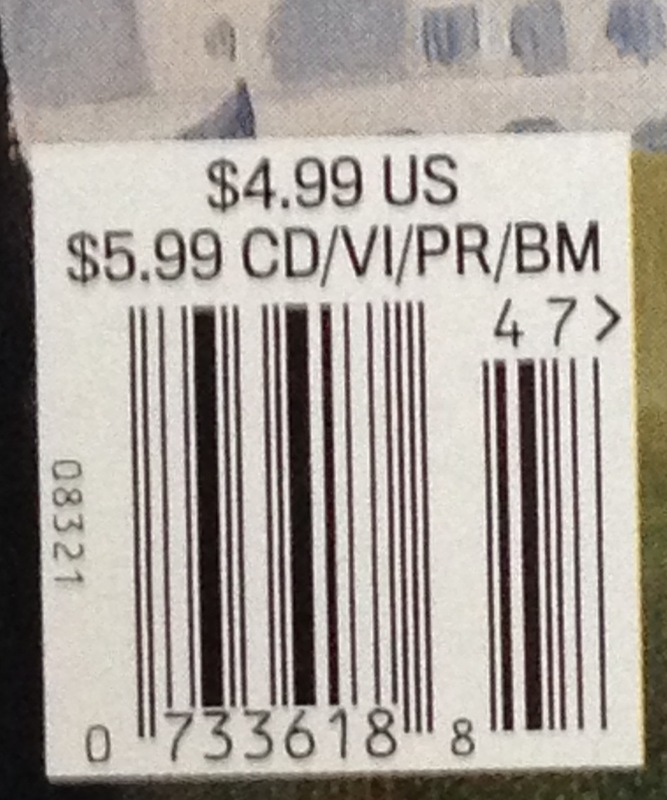 That is less than the price of one copy of some of their magazines. 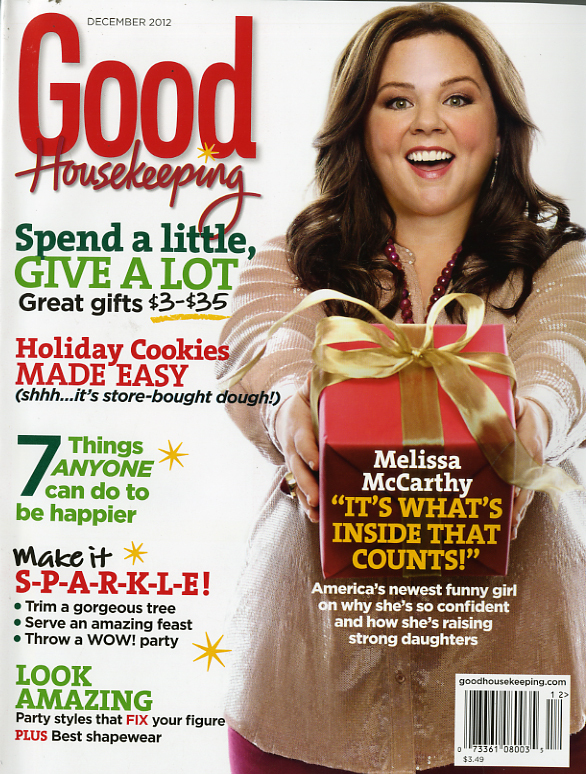 Missing from the offer are Hearst’s newest entries Food Network magazine and HGTV magazine. Of course there is a catch, when you sign for the magazines you are signing for automatic renewal for upcoming years at the most current prices at that time. 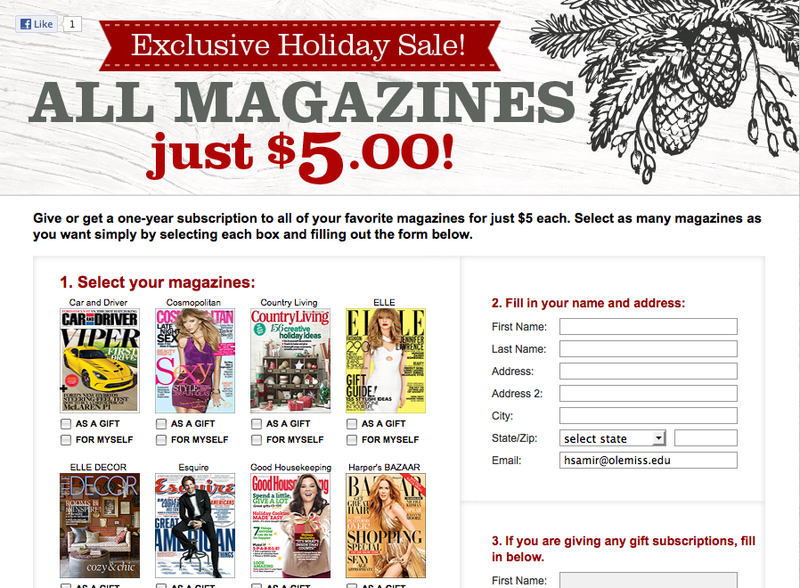 Needless to say that you can cancel at any time and enjoy the five-dollar subscriptions for the whole year until you receive another “exclusive holiday offer” next year. Doing the math will result in getting 18 titles for $91.99 (I have no idea why I was charged $6.99 for Car and Driver), that is a total of 165 magazines at the average price of less than 18 cents a copy… Wow! I can’t but wonder whether the magazine industry will ever change to an industry that is more of an industry in search of customers who count rather than just counting customers? I am starting to have my doubts about such a change in the magazine world, so maybe the “good ol’ days” are coming back and the industry as a whole, with its old business model, and those ridiculous prices are a sign of an industry on its way to heal and not a desperate sign of an industry that continues to hurt but refuses to change its way. You know how our friends the Chinese define insanity: Doing the same thing over and over again and expecting different results every time. 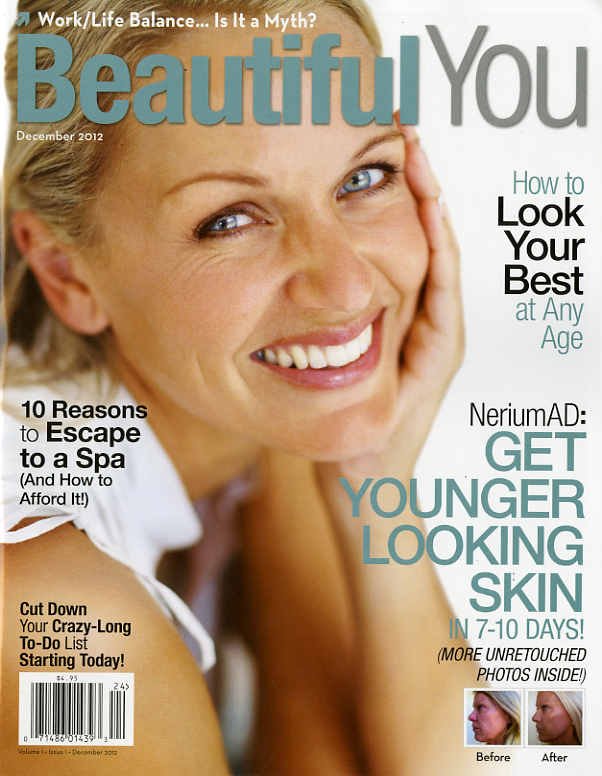 Interested in getting your own magazine subscriptions for 18 cents a copy click here. 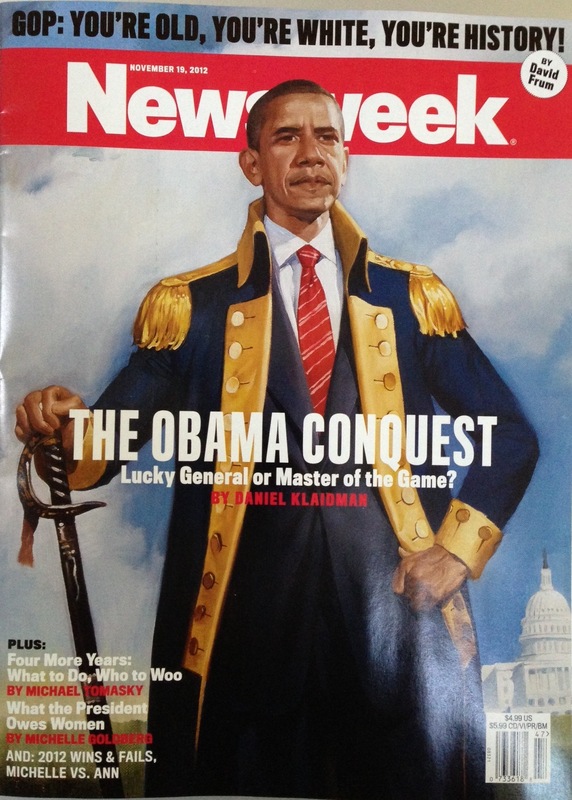 Why Did Newsweek Charge Two Extra Dollars on the Newsstands for its “Obama Conquest” Issue? I promise you I am not trying to beat a dead horse, but I was surprised to see a sticker (on most of the copies) of Newsweek’s Nov. 19 “The Obama Conquest” election special issue. As you can see from the image (upper left) the regular price of the magazine on the newsstands is $4.99 (that is how much I paid for my copy at Books-A-Million). 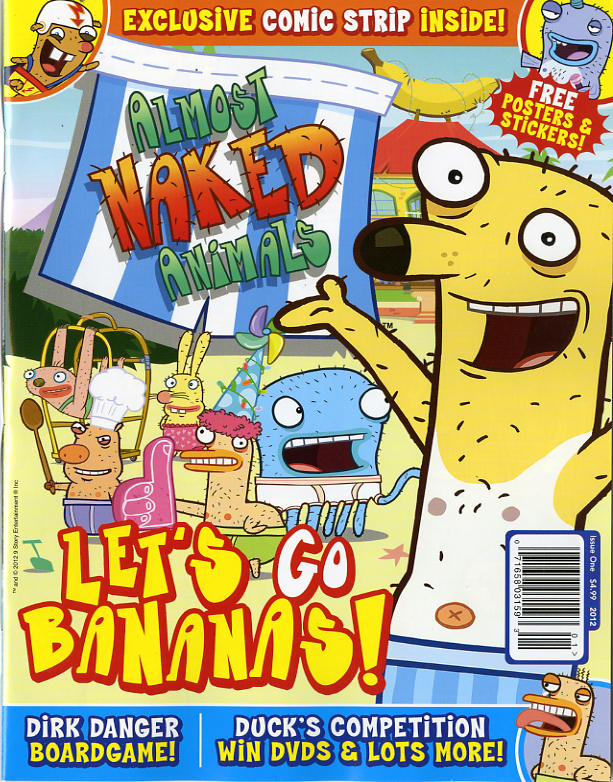 However the same issue at Barnes and Noble and Wal-Mart had a sticker on the cover hiding the original price and selling the magazine for $6.99 (upper right) instead of $4.99. It is yet another sign of the confusion taking place at a magazine that once was part of a good healthy institution of weeklies in these United States of America. In the weeks past and, I am sure, in the weeks to come, more stories and interviews (sorry excuses) will be told and given for the demise of Newsweek in print. Do the audience and the history of such an institution a favor, be merciful and hasten its demise so the poor patient, sorry magazine, may rest in peace! Stop prolonging the agony. 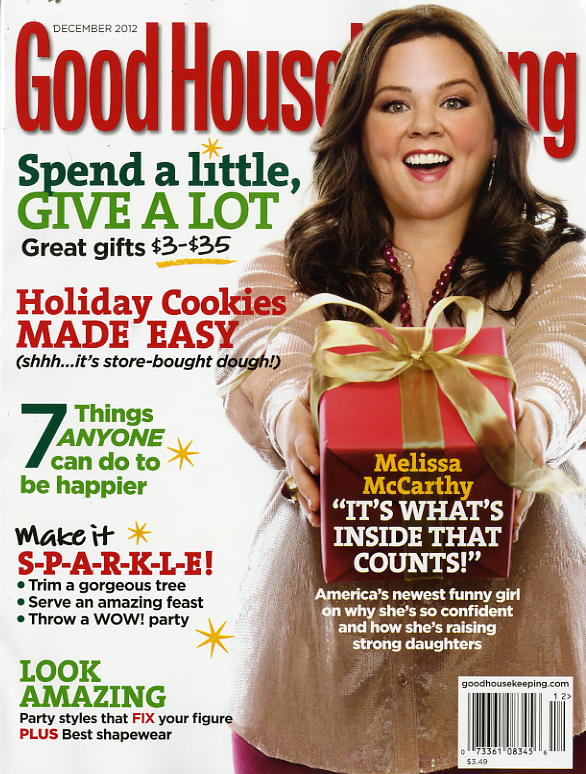 And get used to this logo, that is the new face of Good Housekeeping magazine. 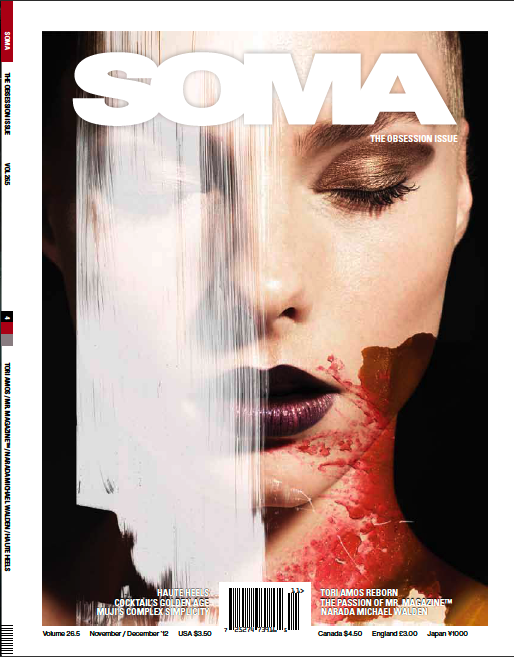 The November/December 2012 issue of SOMA magazine is the Obsession issue. Her name is Magazine and she is irresistible. Her smell is like black, murky ink and her touch is as soft as gloss. Her eyes are taglines of mesmerizing prose that one man can’t deny. Her minions live in the palms of her enticing hands, where they are pulled close and nurtured at the bountiful breasts of her covers. She waits for the one who will love her, the one who will inhale her minions into their very soul, and the one who will carry her name. Dr. Samir Husni was born in Tripoli, Lebanon. 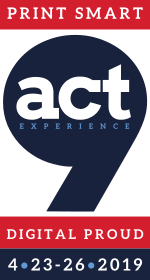 When he was a boy of nine, he experienced a life-altering transformation; a transfusion, if you will. It was the moment that he bought his first comic book, Superman. He held the magazine in his hands for the first time, ran the pads of his fingers across the shiny cover, and felt a sensation similar to the blood leaving his body begin to take place. In that instant, whether by osmosis, mutation, or a combination of the two, his heart began to pump ink and Mr. Magazine™ was born. 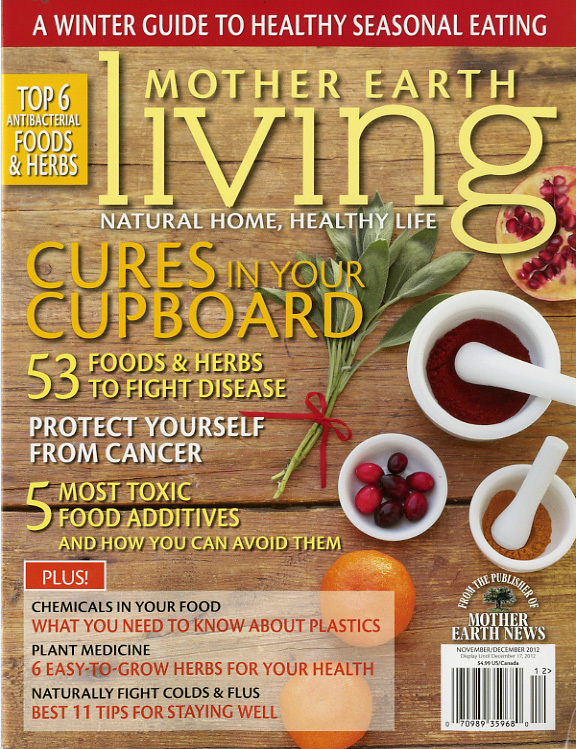 After a very healthy September, October witnessed the arrival of an even 100 new magazine titles on the nation’s newsstands. One quarter (25 titles) of the new magazines were published with an intended frequency while the remaining three quarters of the October crop (75 titles) were either annual publications or specials and book-a-zines. 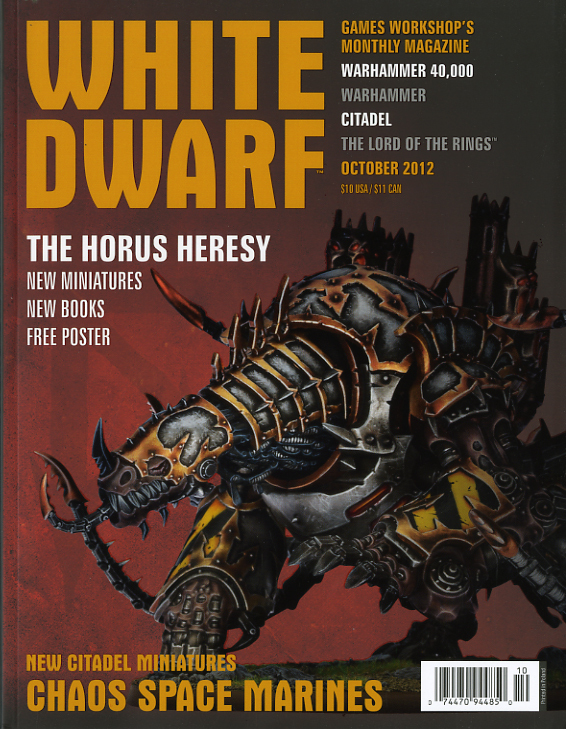 The October numbers are only one magazine lower than that of September. 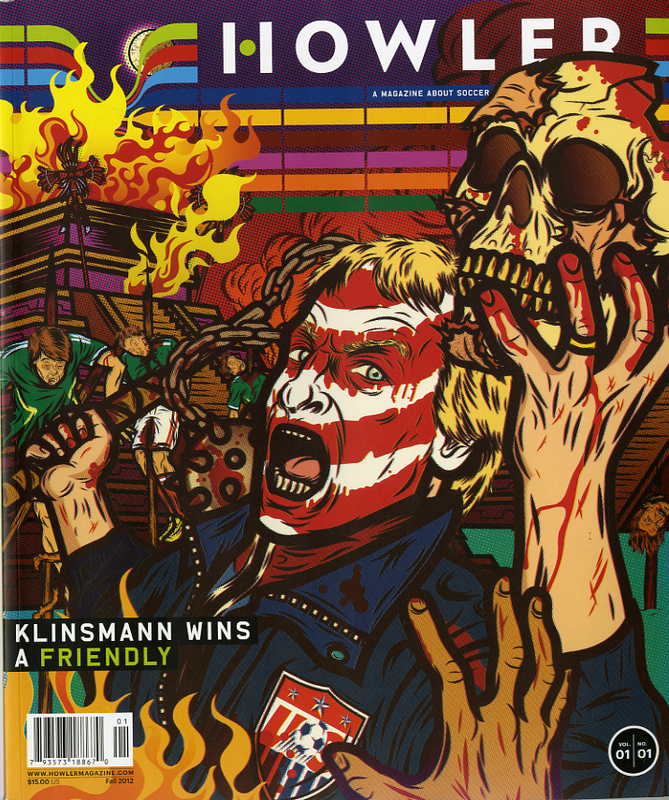 Two notable magazines were published as a result of the crowd sourcing fundraising “platform for creative projects” site “Kickstarter:” Howler and Tomorrow. 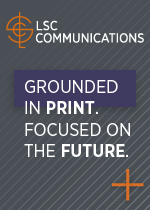 Both are but two examples how technology is used to enhance the power of print. Publishing is believing and believing is the first step to creativity. Take a look at some of the new magazine launches below and be sure to visit the Mr. Magazine™ Launch Monitor to see each and every one of those magazines. 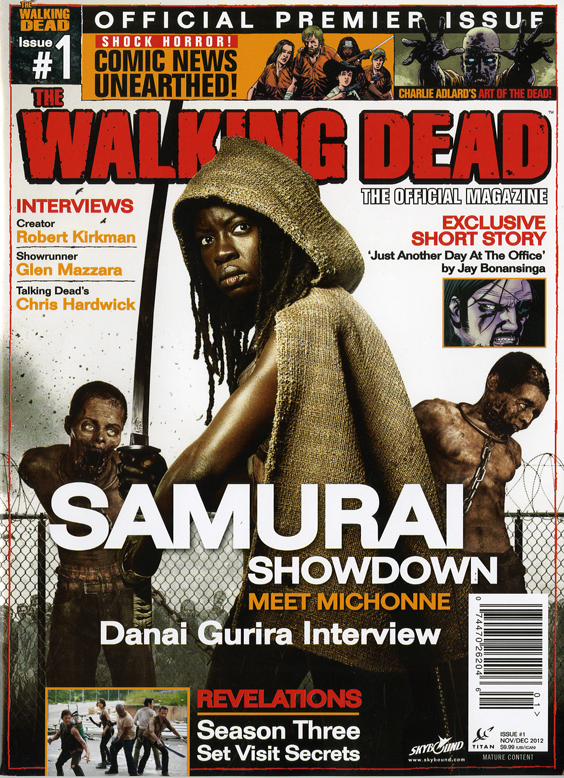 You are currently browsing the Mr. Magazine blog archives for November, 2012.